HTC has launched a new variant of its 2015 flagship smartphone dubbed One M9e in China. Priced at CNY 2,700 (approximately Rs. 27,650), the smartphone is now available via an e-commerce website in China. Notably, the Chinese Tmall online retailer in its listing incorrectly refers to the HTC One M9e as One M9 several times. The One M9e, as seen in earlier leaks, features a design reminiscent of the HTC One M9. Unfortunately, there is no word whether the handset will be launching in markets outside China. 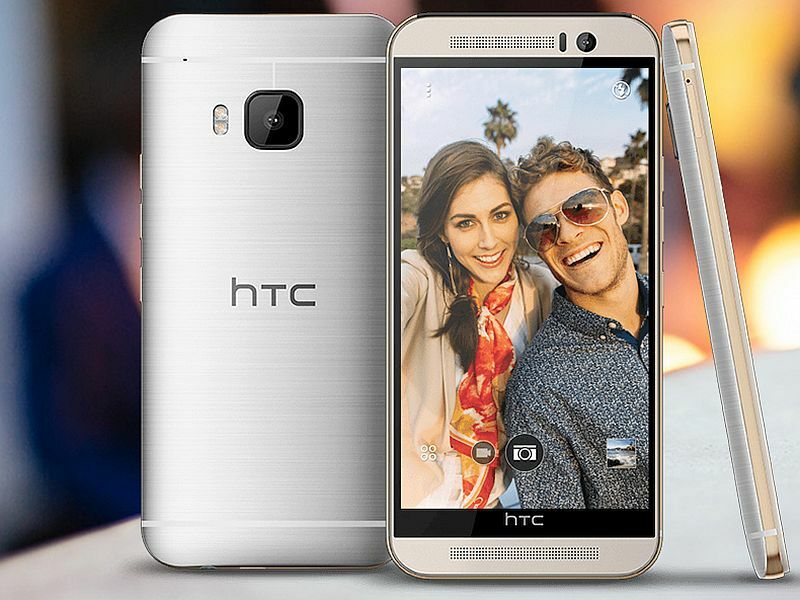 The HTC One M9e features a 5-inch full-HD (1080×1920 pixel) IPS display. Similar to the HTC One M9+, the One M9e is powered by 2.2GHz octa-core MediaTek MT6795T Helio X10 processor; though the handset features just 2GB of RAM instead of 3GB of RAM as seen in One M9+. The inbuilt storage on the device is 16GB, which is further expandable by a microSD card (up to 2TB). There is a 13-megapixel rear camera with f/2.0 aperture, autofocus, BSI sensor, OIS (optical image stabilisation), support for 1080p video recording, and a LED flash module. The One M9e features an UltraPixel front camera, much like the One M9+. Running Android 5.0 Lollipop with Sense, the One M9e supports single Nano-SIM. Connectivity options on the device include 4G LTE, Wi-Fi, Bluetooth 4.1, Infrared, DLNA, FM radio, and NFC. The One M9e is backed by a similar 2840mAh non-removable battery as seen on One M9 and One M9+. It measures 144.6×69.7×9.61mm and weighs 157 grams. The Taiwanese company last month unveiled the HTC One M9+ Supreme Camera, which was almost identical to the One M9+ smartphone but with a few upgrades in the rear camera setup. The company recently announced that its One A9 currently priced at $399.99 (roughly Rs. 26,000) is a special “promotional pre-sale offer”, which would end by November 7. The Taiwanese company confirmed that once the special price offer is over, the HTC One A9 would then cost $100 more, which is $499.99 (roughly Rs. 32,500) unlocked.